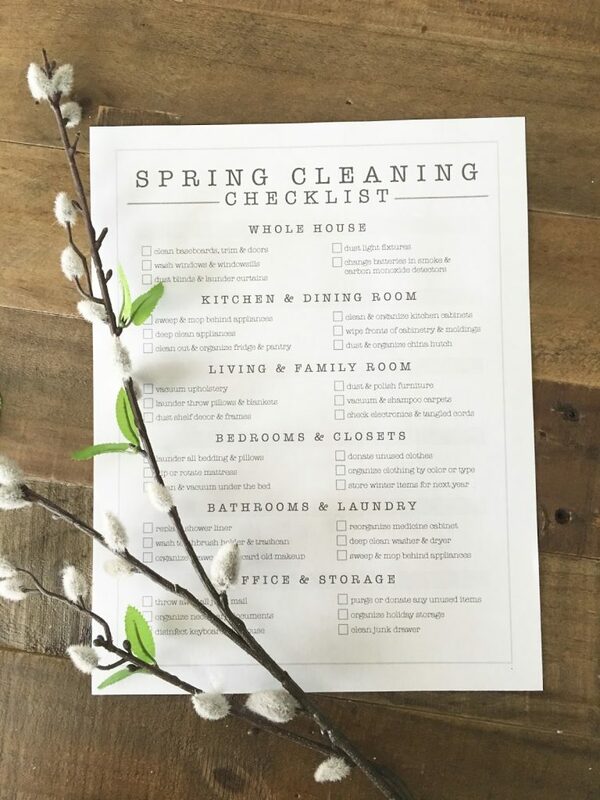 I created a spring cleaning checklist that goes a little bit deeper than the day to day cleaning (side note: if you’re challenged with keeping a tidy house I highly recommend The Life Changing Magic of Tidying Up). There is nothing better than knowing every nook & cranny of the home is clean and organized, but don’t stress about getting it all done in one day or even one week. Take it one room at a time and do what you can! Even if you don’t like cleaning, this little printable might make it more fun. Personally, I love lists and being able to check off tasks as I go. If it doesn’t seem like I am getting much accomplished, I just look at the list and see everything I’ve done so far! Download my spring cleaning checklist here! Lately, I have shifted more towards more natural and safe cleaning products. Method and Mrs. Meyers are some of my favorites. I can’t believe how well they compare to more traditional cleaners like bleach. Plus, they smell so much better! I’m sharing a few of my top cleaning supplies and must-haves to get your spring cleaning started!